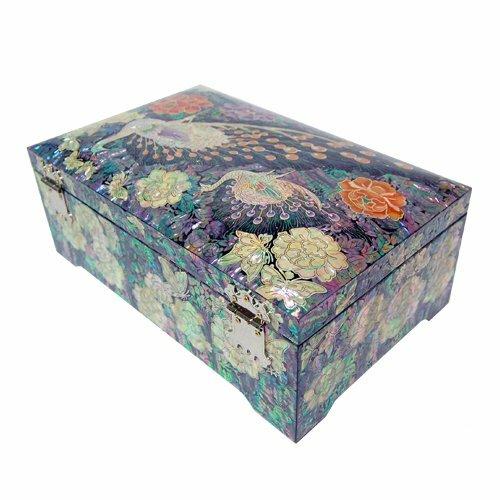 Silver J Wooden Lacquered Jewelry Box, Mother of Pearl Jewellery Box, Handmade Oriental Gift, Luxurious Peacock. 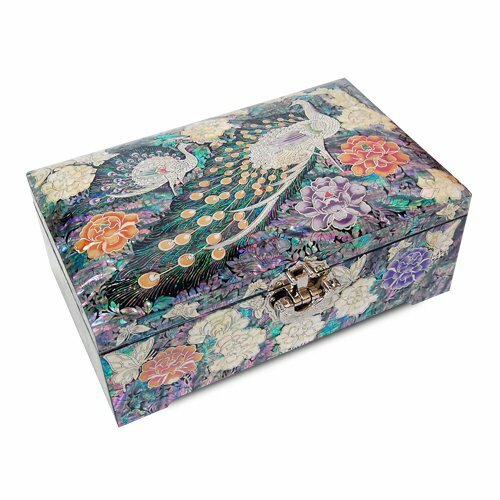 Handmade wooden jewellery box with natural shimmering mother of pearl inlaid in oriental motif - graceful peacock and peony. 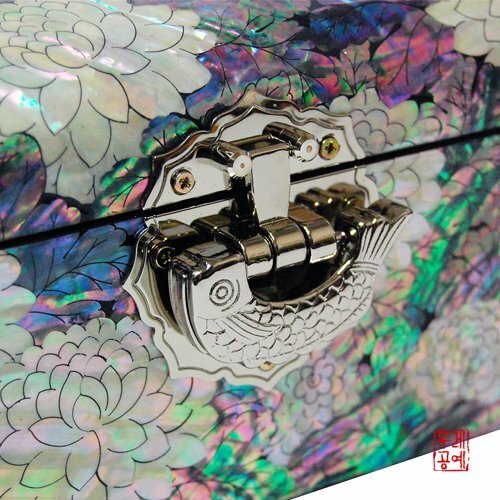 Shimmering mother of pearl covered entire surface of the jewellery box, inside and outside of the box. 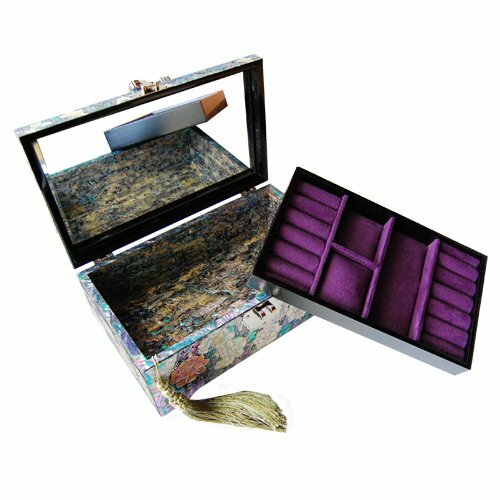 Extra tray embossed with dark purple felt for easier assortment of jewellery, mirror fitted underneath the lid. Lucky fish clasp attached. 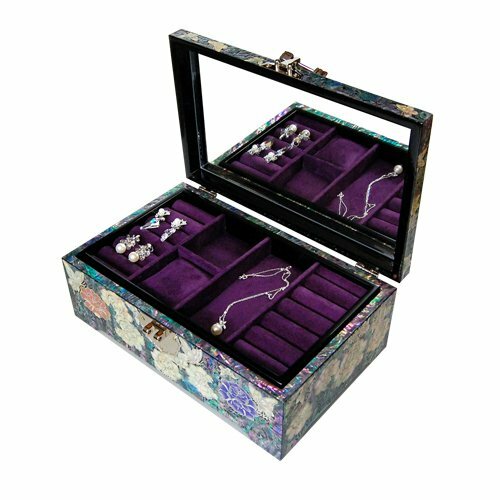 This jewellery box will make a splendid display with good lighting. 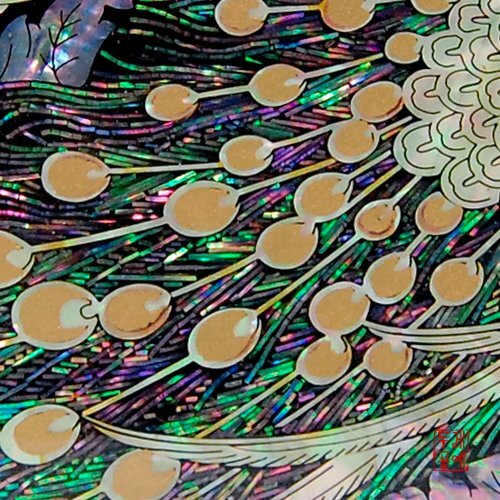 If you have any questions about this product by Silver J, contact us by completing and submitting the form below. If you are looking for a specif part number, please include it with your message.